Hockey Eastern Ontario's U16 Program of Excellence is designed to identify the top 15-16 year old players in the branch and form a team to compete in the OHL Gold Cup. The program also provides high performance coaches in the branch development opportunities as members of the coaching staff. The process of player identification begins in the Fall and includes local OHL Scouts and HEO program staff. 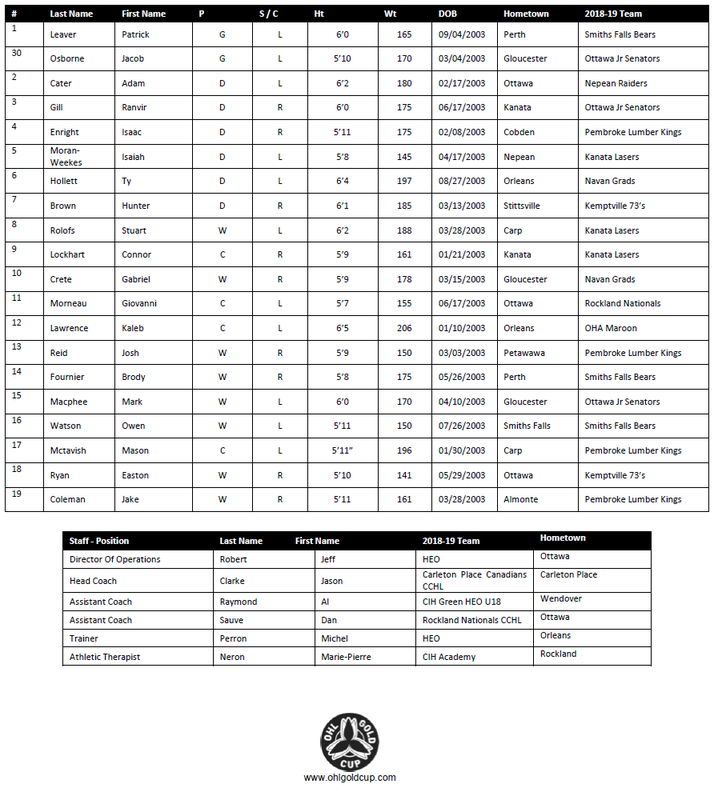 Players are invited to an evaluation camp from which a 20 player roster and 5 player alternate list will be named.